To continue on with our collection of tarantulas, this next one was mine. A Tiger Rump. Although mine was still only the size of a 1/2 dollar, the image I’m posting is a full grown Tiger Rump. Since my spiders were still so small, I held them a lot, so that as they grew, they would be used to handling! 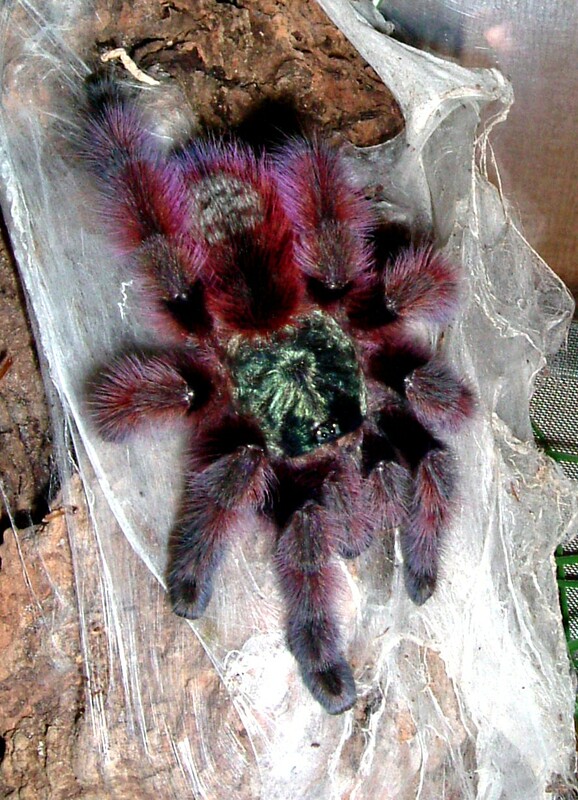 This next tarantula was one of my husbands, similar to the first Origindian Ornamental, this one is the Indian Ornamental. He had a polygon shaped glass cage, with plexiglass, splitting the cage in half. These two spiders would not be able to habituate together. 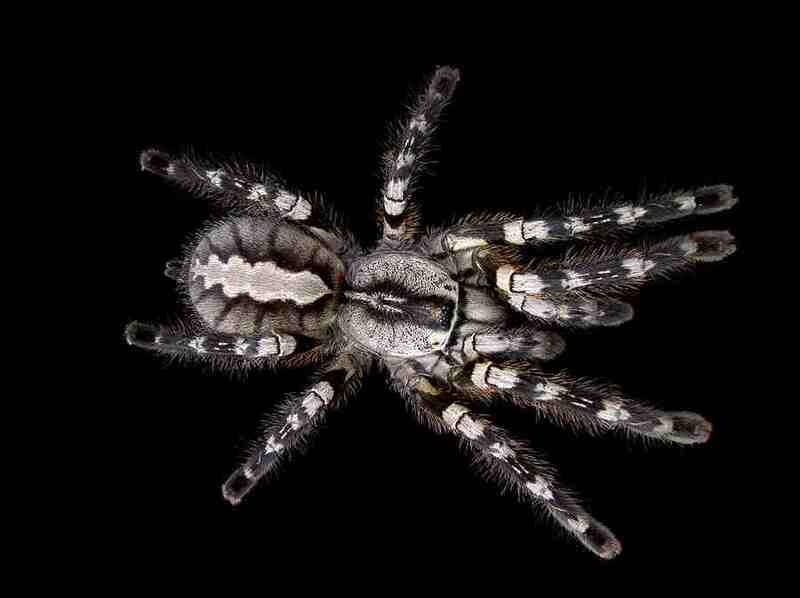 You will see that this tarantula is more of a white version of the Origindian tarantula. 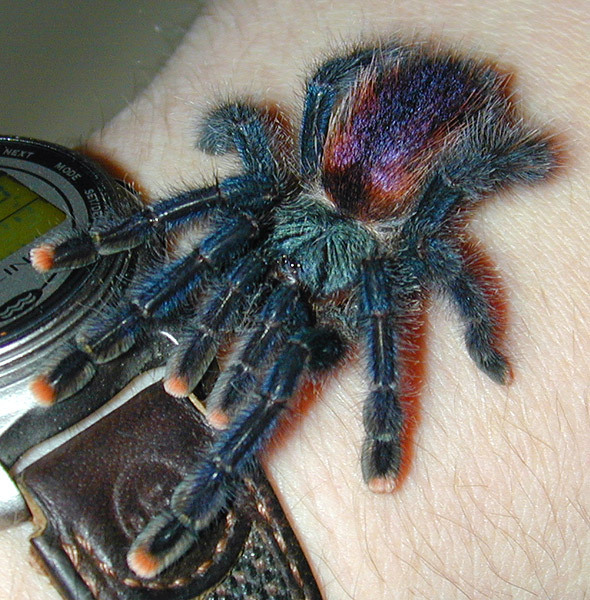 This is one of the Tarantulas I purchased. I purchased mine as spiderlings, I don’t believe that is the correct term, but they were the size of a quarter. The picture I am going to post is of my Cobalt Blue in full grown form. Enjoy its beauty! Once upon a time, my husband and I were into collecting exotic animals. Tarantulas, snakes, lizards, salt water fish, fresh water fish, and a few things here and there. I once had a domestic white duck. That is a story I will save for later. I am going to start with our Tarantula collection. First, the spiders we had, then some beautiful spiders I wanted. 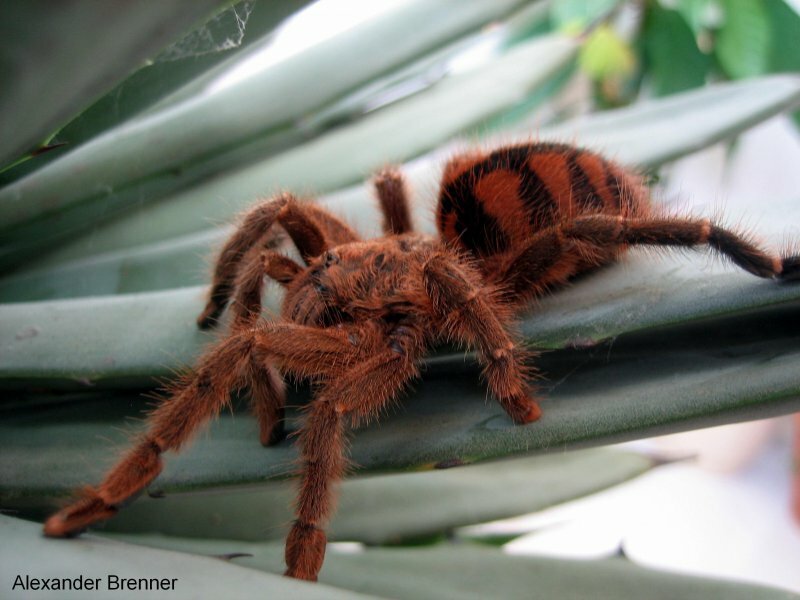 There is quite a bit, so I am going to post a Tarantula a day. The first picture is an Origidian ornamental tarantula. There is a species name, but that gets way to complicated. The spider I am going to post, is also the same spider my husband had tattooed on his back. A birthday present from me. 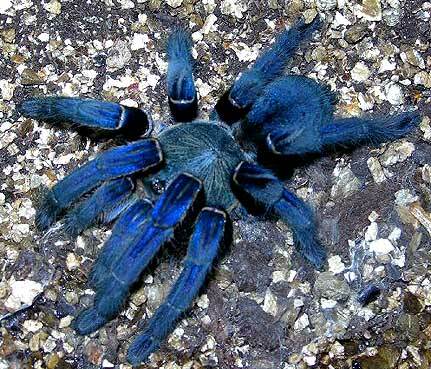 This is the Tarantula!